After the heavy rains of Fri Sept 11th, 2015 – the waters at the Old Weir Bridge were a challenge for the Gap boatmen. i look to the Old Weir Bridge, can we also in the boat? and how many we have to pay for it? The best boat trip to see the Old Weir Bridge would be to go from Lord Brandon’s Cottage to Ross Castle. This would bring you through all three of Killarney’s Lakes. It would cost approx €15 Euro. 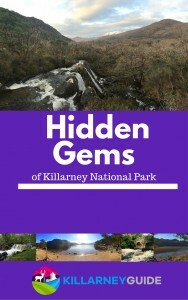 See the full post here https://killarneyguide.ie/old-weir-bridge/ on the Old Weir Bridge with all the details on how to find it!